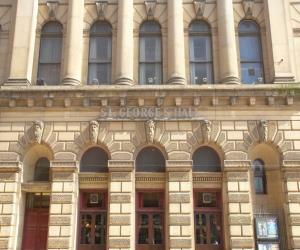 St George's Hall01274 432000work TheatreSt George's Hall is renowned for exceptional acoustics and an intimate atmosphere. The venue seats over 1,500 people and is a popular choice of the best of British music from Mumford & Sons, Paul Weller, Jools Holland & Morrissey and top stand up comedians including Sarah Millican, Jimmy Carr, Billy Connolly and Jason Manford. The venue hosts one of the UKs longest running Orchestral Seasons, with the Hallé as resident orchestra. The hall also attracts big names in variety entertainment and receives regular children's shows and amateur productions. St George's Hall offers a unique and unrivalled setting for meetings, events and corporate hospitality, and conferences. 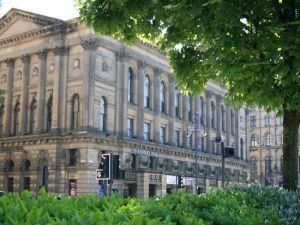 St George's Hall is renowned for exceptional acoustics and an intimate atmosphere.